There's a war going on every day in cyberspace. It's a war that puts companies and agencies trying to serve their customers against the cyber-thieves (hackers, spies, etc.) trying to get at their data. But online attacks can also come from close by: From some online thieves prowling unsecured wireless networks at hotels, malls and coffee shops you often use. Sometimes hackers just want to disrupt businesses for revenge. Other times it's to hold computers for ransom. And sometimes they're stealing credit card and banking data, then selling to other hackers, over and over again. These are scary headlines, but they also happen to be true. You cannot ignore what's happening around us daily. Here are some major attacks over the past few years. Ashley Madison users: Hackers stole data from millions of married people looking for affairs. U.S. Government employees: The identities of more than 20 million people who had their identity checked while looking for a government job were stolen. Sony employees: Hackers stole and posted sensitive emails and other personal information about thousands of company employees. Home Depot shoppers: No need to do it yourself. 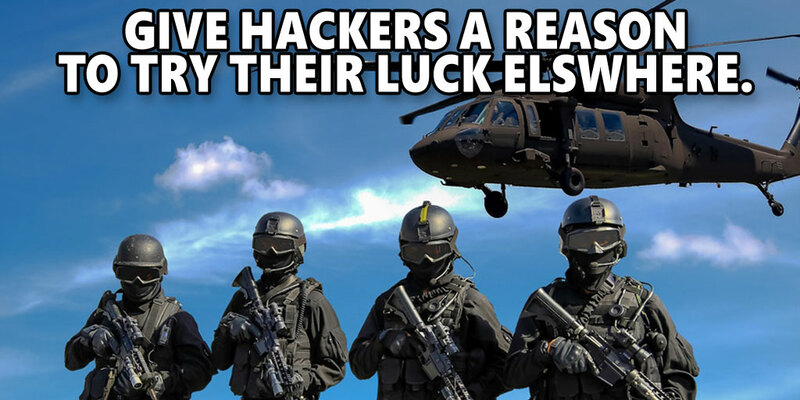 Hackers took care of stealing more than 50 million credit card numbers and emails! JP Morgan customers: Big banks have been hacked. JP Morgan discovered that information on more than 80 million of their customers, plus small businesses accounts, had been compromised. Unfortunate name: "Target." The retail giant Target was attacked and hackers stole sensitive credit card and email data on more than 100 million shoppers. Makes you "WannaCry." In 2017, a global ransomware attack hit hundreds of countries, thousands of companies and organizations globally, and affected millions of computer users. These big attacks often end up hurting ordinary people who have done nothing more than trust their accounts and information with companies that they trusted. That's the world we live in. You can't go back to the old ways of doing things, so what you need to do is take steps to lower the risk of being caught in the cross-fire and having your personal information stolen. 1. Change your passwords, starting from your oldest ones! You're probably tired hearing this advice, but it's important not to dismiss it! You don't know if some passwords you've used are out there in hacker-land, ready to unlock some other account doors. You should change passwords on ALL accounts a few times a year. Be warned! 2. While you're at, eliminate duplicates! Passwords are a hacker's "master key" to finding an opening into private consumer email and credit accounts, so don't make it easy for them. Set a goal of not repeating any duplicate passwords or even "extremely similar" ones. And while you're at it...replace any simple passwords you're using, such as "abcd" and "password." 3. Credit card transactions offer more protection if something happens. This article is about the reality of today's dangerous online world. Realistically, using a major credit card is the proper way to make most transactions, instead of gift cards, debit cards and other payment options. Credit cards come with built-in protection offered by the provider, which is what you need in today's risk-filled Internet. You need to limit the number of click-throughs you perform on emails and even text messages. This may be a hard habit to develop, but you need to move a touch slower when you check all your email accounts. Why? Because cyber-crooks are now using phishing and other social engineering tricks to get you to open emails, click on links and possibly even share some information, even if it's someone's name or email. Reduce the amount of email you get (where you can), and respond only when necessary. 5. Boost your network/computer defenses, starting NOW. Remember that if you use a PC (and a Windows operating system), you're more vulnerable to global hacking attempts. That's simply a fact. Your best defense it to make sure you're running the most updated versions of every program, starting with Windows. Go online and see if Microsoft has an update for the version you use. (You may want to consider getting a new computer and Windows 10, which has a solid, built-in defense.) Of course, make sure you're running a good antivirus program and that you've installed its latest updates. Bonus Tip: Sign up for a Virtual Private Network. All of the above tips revolve around one simple idea: taking greater personal responsibility for all your online activity. At the top of that list should be one more "to do." Signing up for a personal VPN account for yourself or your family. A Virtual Private Network is an online service that works with your ISP provider and any network you're on. 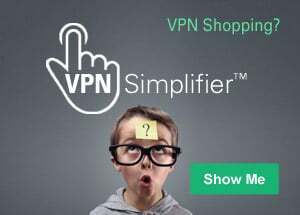 When you go online and have your VPN activated, you're assured that your transactions are encrypted, protected from hackers and that you're true IP address is hidden. More than that, you can get around censorship blocks, IP blacklists, regional blackouts and more. For more information, visit our VPN comparison, and find a VPN and special offer that suits you.